Famous for his natural tonics, Don Cazcabel is a healer with powers that attracted Mexicans from hundreds of miles around. A faithful student of Toltec, Olmec and Aztec traditions, his tequila recipes only use the best, natural ingredients that the fertile land can offer and this philosophy has been the inspiration for Cazcabel tequila. We use only locally sourced, blue weber agave in our tequila which grow for around 7 years before harvesting. 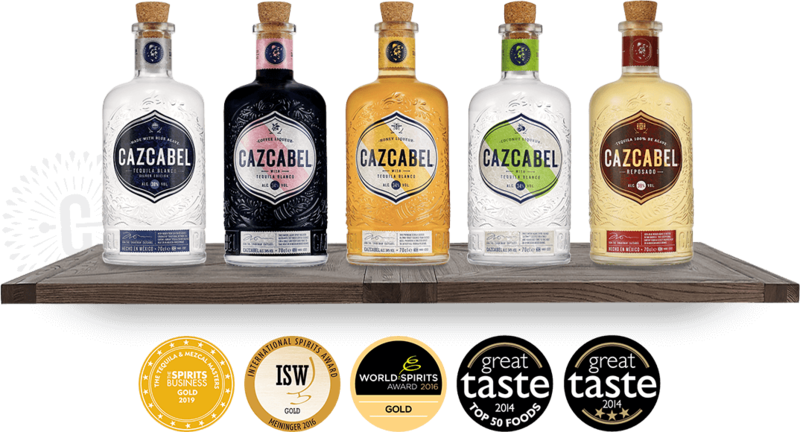 Cazcabel tequila is created in an independent micro distillery in the town of Arandas, located in the highlands of the Jalisco mountains in Mexico. The elevation of Arandas ensures that the agave are well hydrated and that they have mineral and nutrient rich soil which allow them to grow larger than anywhere else in Jalisco. Once harvested we use autoclaves to steam our piñas and start converting the carbohydrates and starches into fermentable sugars. Autoclaves have many benefits including being able to regulate temperatures which allow for an even cook and a beautifully clean tequila. After fermenting in steel tanks for 10 days, Cazcabel is distilled using a combination of copper pot and steel stills and then chill-filtered to get rid of any impurities. The combination of these processes gives Cazcabel tequila its well rounded but amazingly smooth and balanced flavour. We continue to plant new agave every year. We dry out the leftover piña's after creating our tequila and use them to heat our autoclaves. We also use natural occurring yeast on the agave leaves we trim from to accelerate and control the fermentation process. The finished products are of the upmost quality. Innovative and unique, they create flavours that can be sipped and savoured. 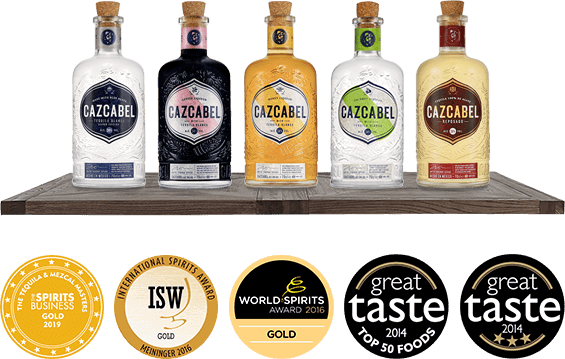 Cazcabel Tequila has been awarded Gold at the World Spirit Awards and International Spirit Awards, as well as, 3 Gold Stars at the Great Taste Awards.